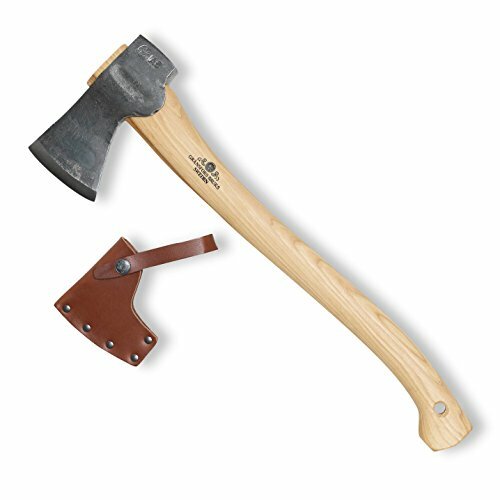 The Small Forest Axe has a thin blade and long handle to allow powerful chopping in a packable axe. Practical for splitting small sticks or cutting limbwood. Small enough to fit in a backpack, Comes with English language "Axe-book"